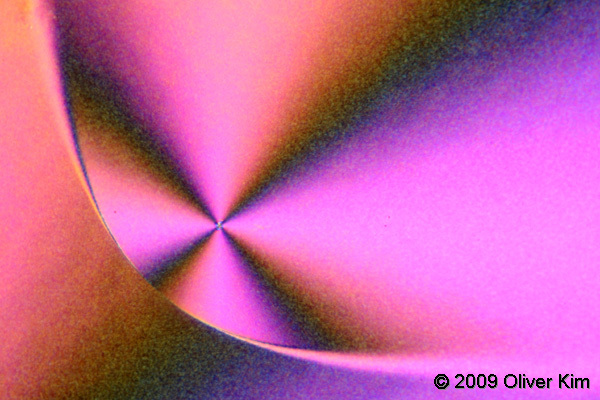 Vitamin C under polarized light. 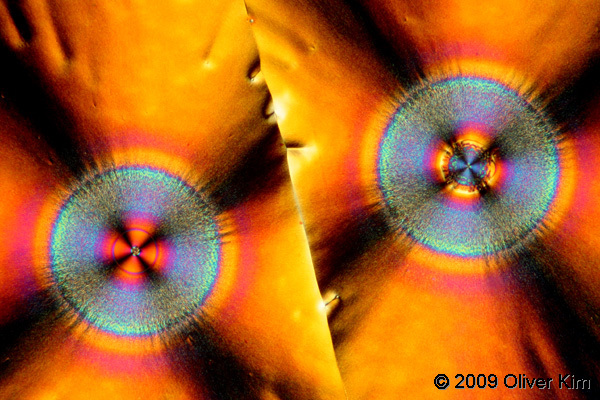 Both images depict Vitamin C (Ascorbic Acid) crystals under low magnification using crossed polarizing filters. A dilute solution of pure vitamin C was evaporated on the microscope slide. Crystals formed randomly, delivering a nearly unlimited source of beauty. Vitamin C is an birefringent, optically active molecule. The crystals have a refractive index which is different into different directions. Due to the interference of light, some wavelengths (colors) are absorbed resulting in a colorful image. For the method, view Simple Polarization Microscopy and Growing Crystals.